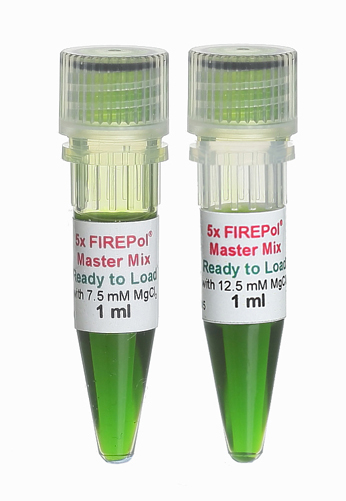 5x FIREPol® Master Mix is a premixed ready-to-use solution containing all reagents required for PCR (except template, primers and water). Ready to Load format also includes a compound needed for direct loading onto agarose gel and two tracking dyes (blue and yellow) that allow to monitor progress during electrophoresis. 04-12-00115 1 ml 7.5 mM MgCl2 PDF PDF PDF 17.5 EUR Login to buy!